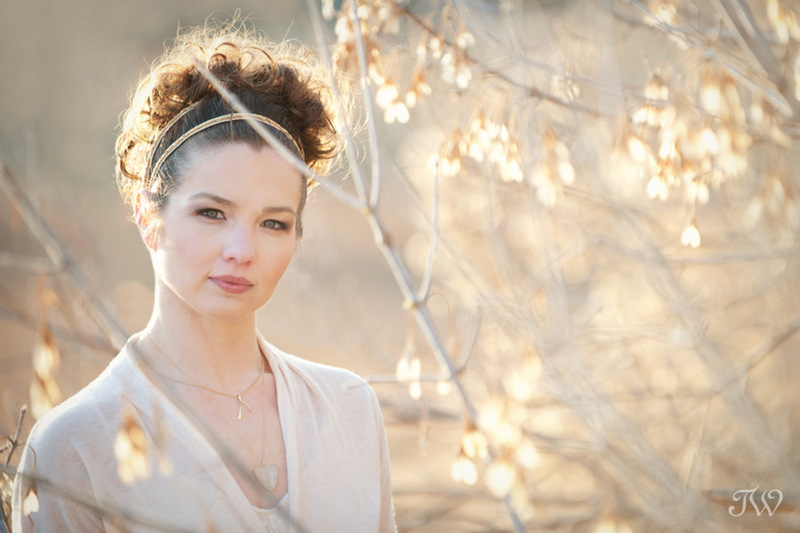 Did you catch yesterday’s blog post? 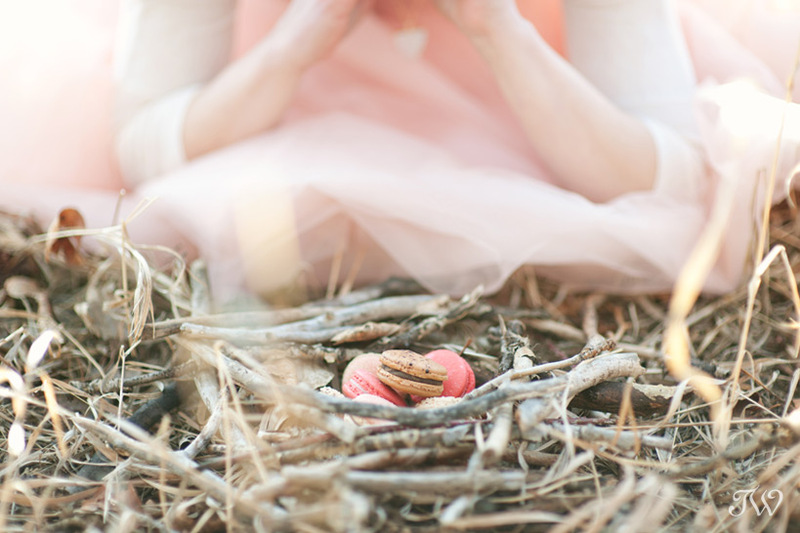 It was all about spring and ideas for planning a seasonal fête. 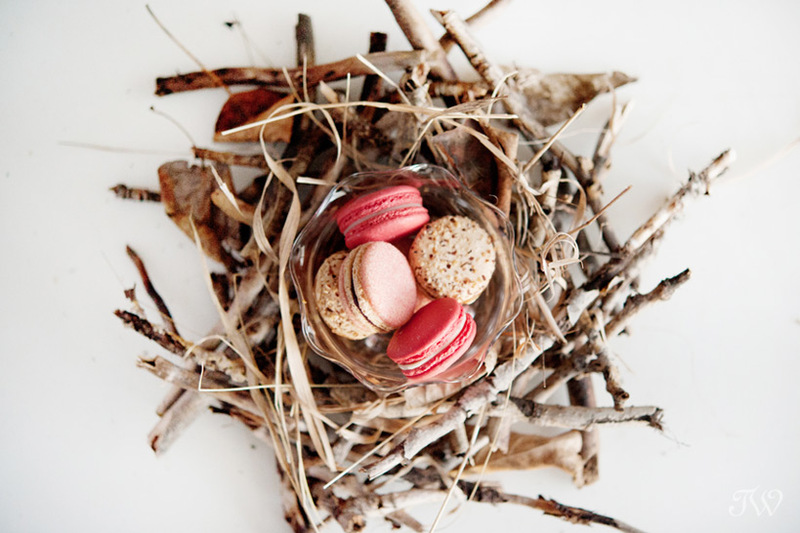 One of my favourite parts was a bird’s nest, arranged for serving macarons. 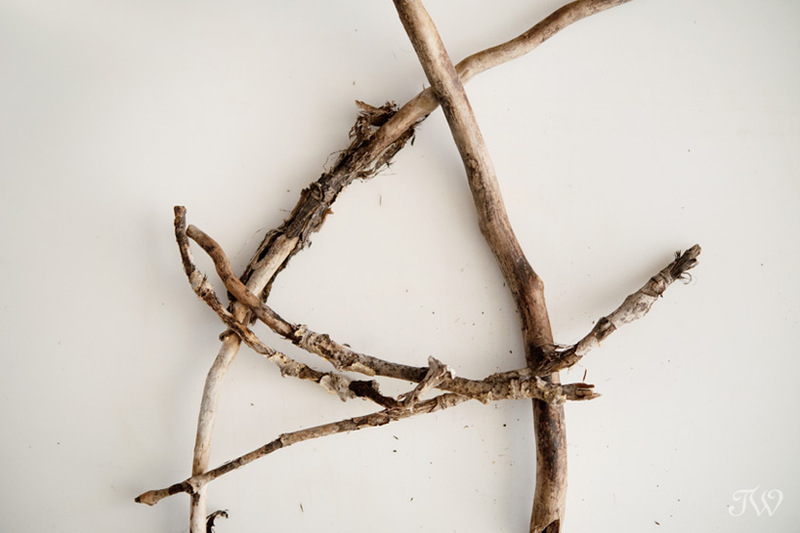 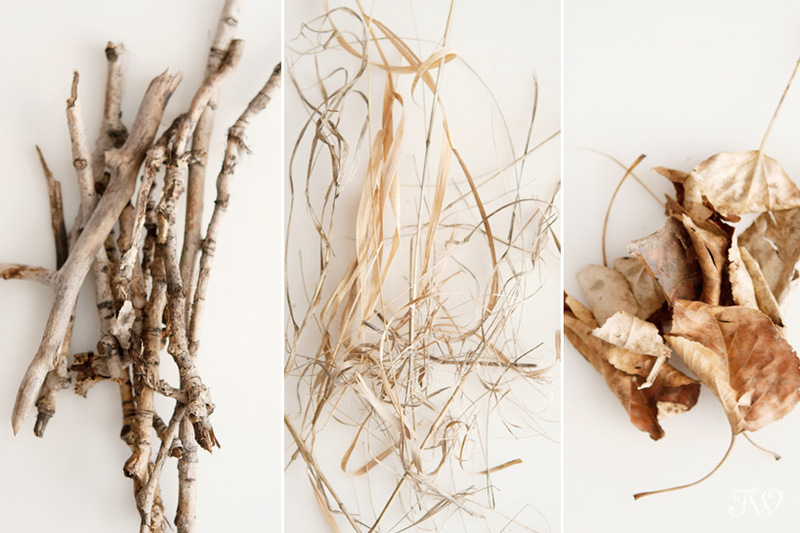 I don’t shy away from good DIY projects so to create this nest, I foraged for seasonal fauna and fashioned it into an organic and textural piece. 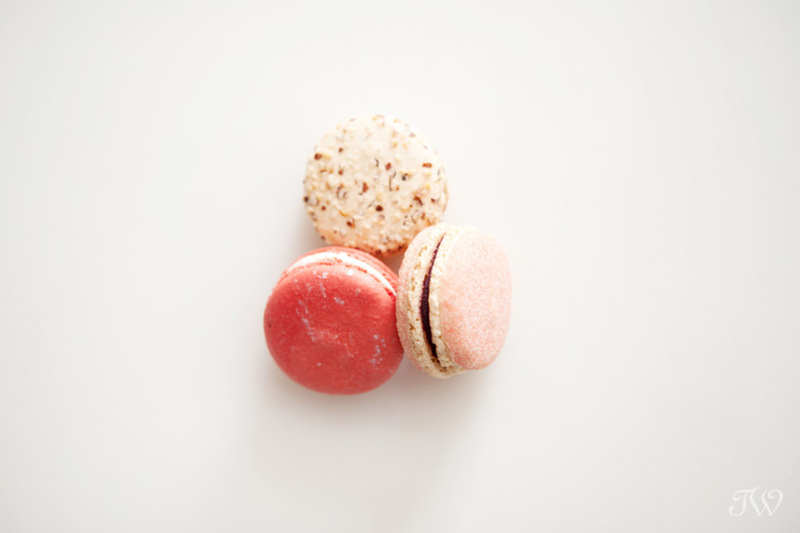 It’s a unique way to serve macarons (or other desserts) at a wedding, a bridal shower or even an Easter celebration. 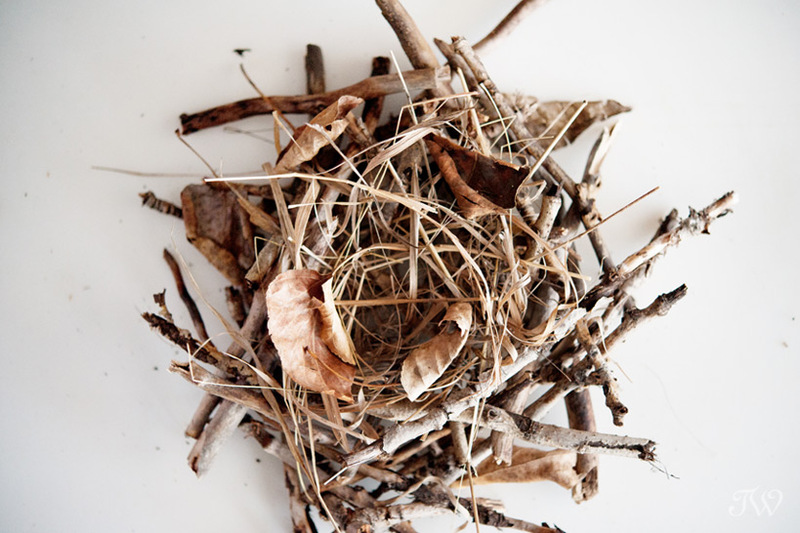 Today I’m sharing the instructions for building your own nest. 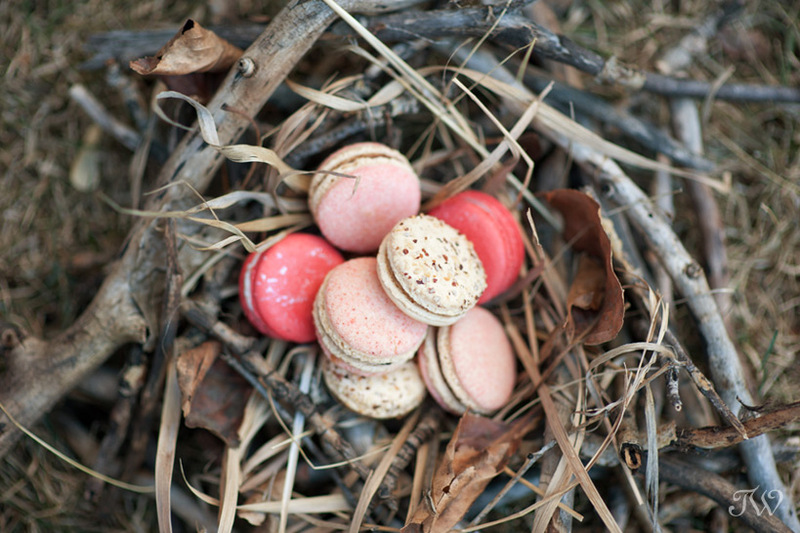 My nest is small in scale but for a larger gathering, use more twigs and a larger container to hold as many macarons as you like. 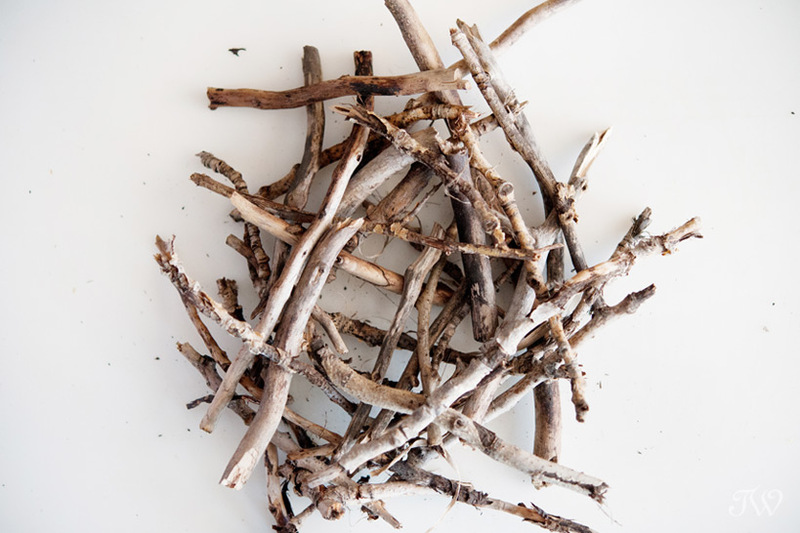 If you’d prefer, follow along with the video below. 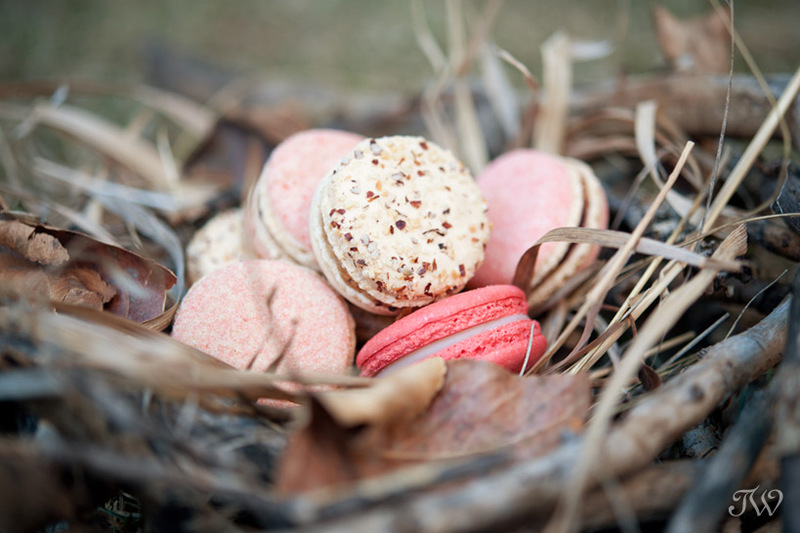 Many thanks to Yann Haute Patisserie for providing the delicious macarons for this project. 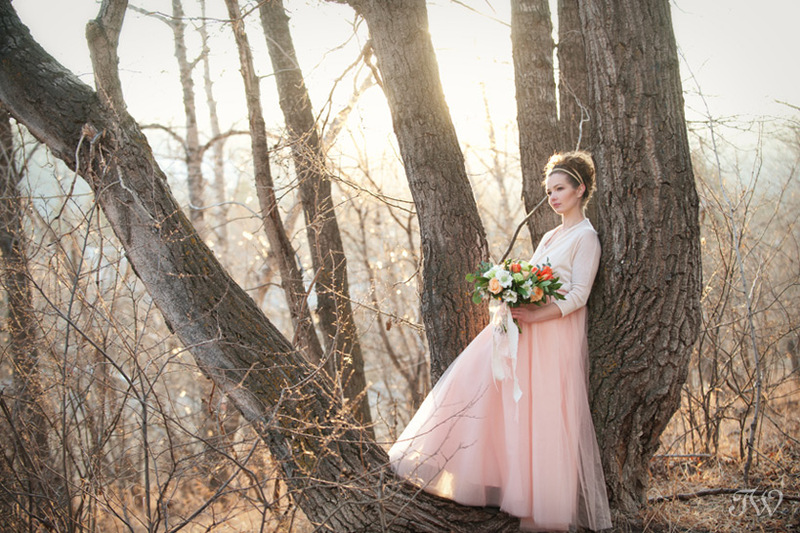 Although spring isn’t exactly right around the corner (in Calgary at least), we’ve had little hints haven’t we? 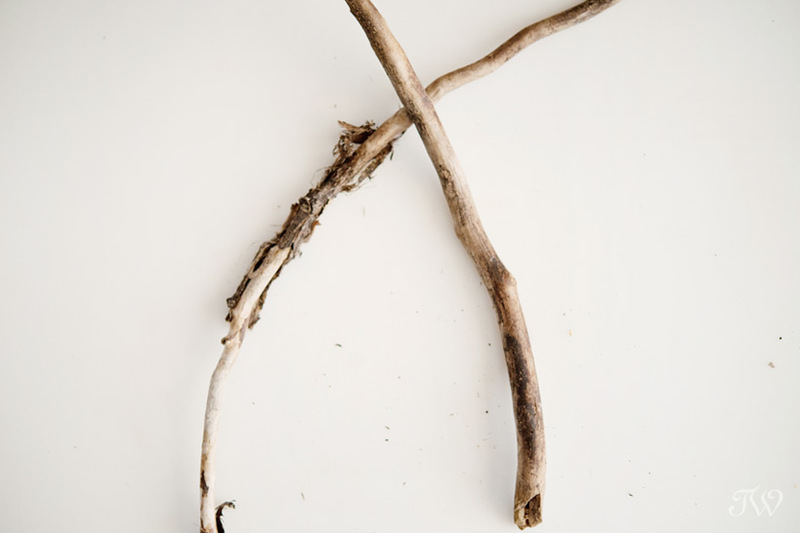 The Canada geese are heading back and the trees in my front yard are forming buds. 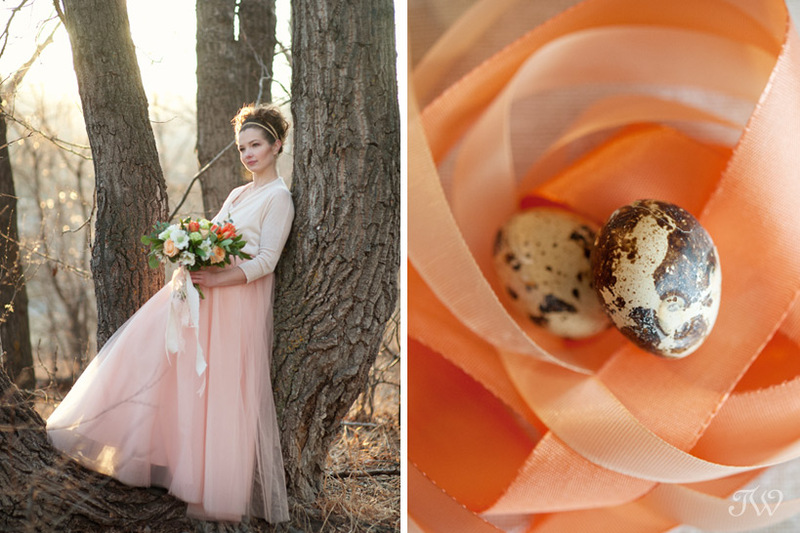 In the spirit of the upcoming season, I styled and photographed a bridal project with a handful of simple ideas for a spring wedding. 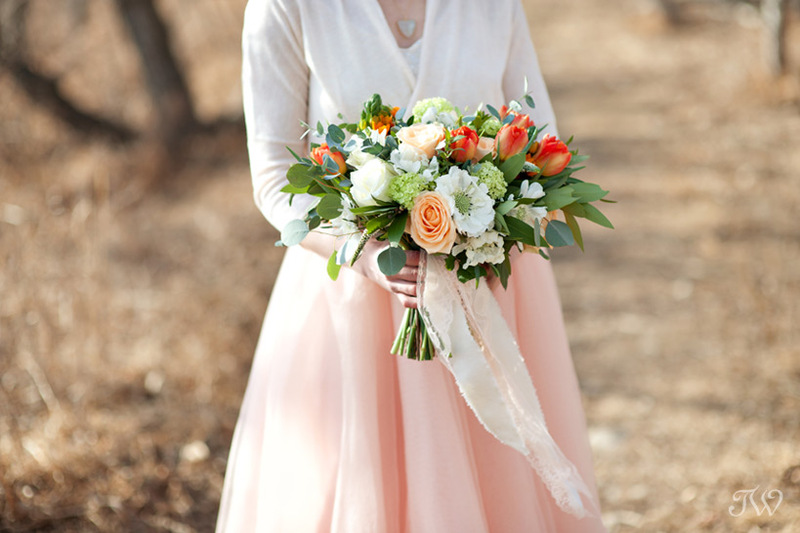 I guess you could say it all started with a tulle skirt in peach tones. 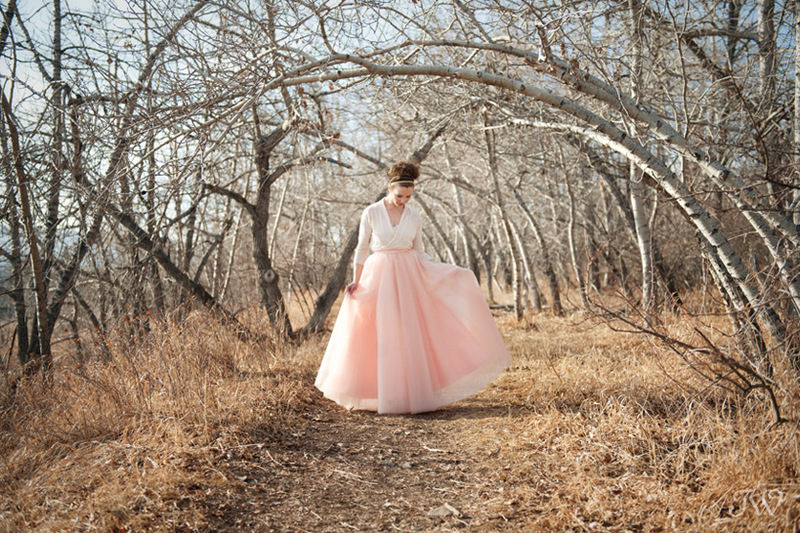 My favourite clothing boutique in Inglewood, Adorn, has started carrying a full-length tulle skirt. 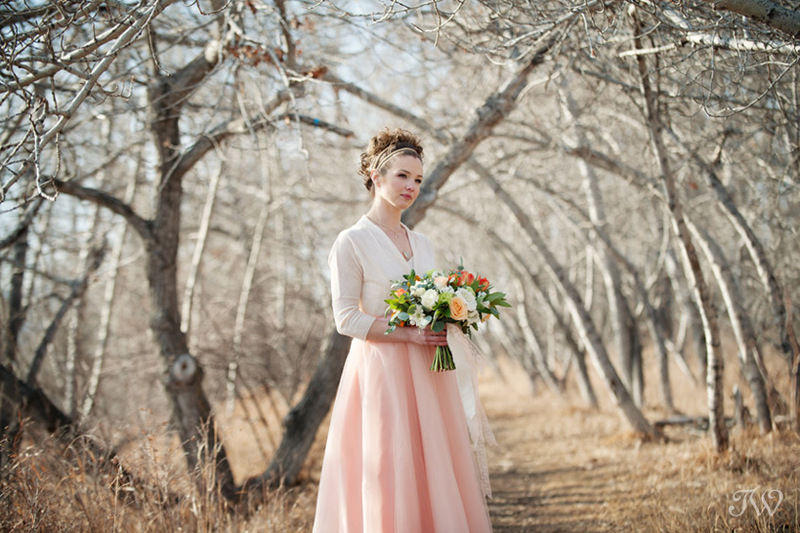 It’s ultra feminine, whimsical and has “bride” written all over it. 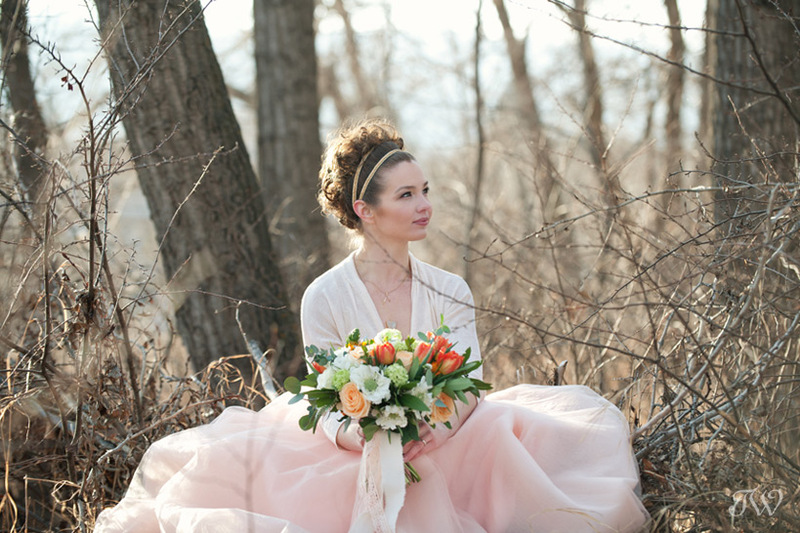 Whether it’s tea length or maxi, wouldn’t your bridesmaids be dreamy in tulle? 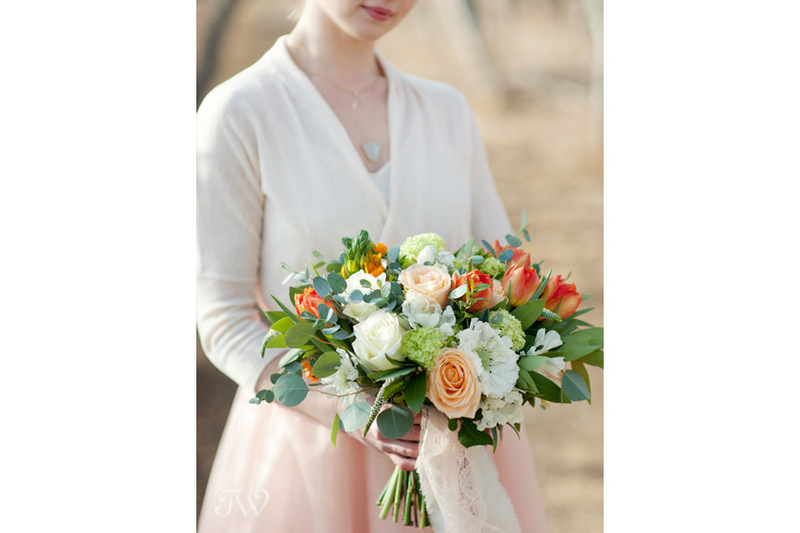 With a bouquet from Flowers by Janie, the look became positively ethereal. 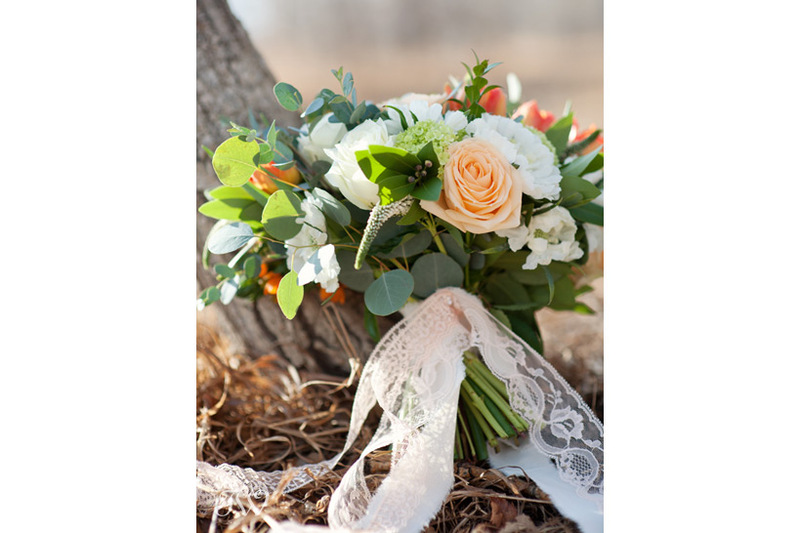 Janelle used roses, white scabiosa, viburnum, double tulips, veronica and orange ornithogalum for an arrangement that’s soft, delicate and perfectly elegant. 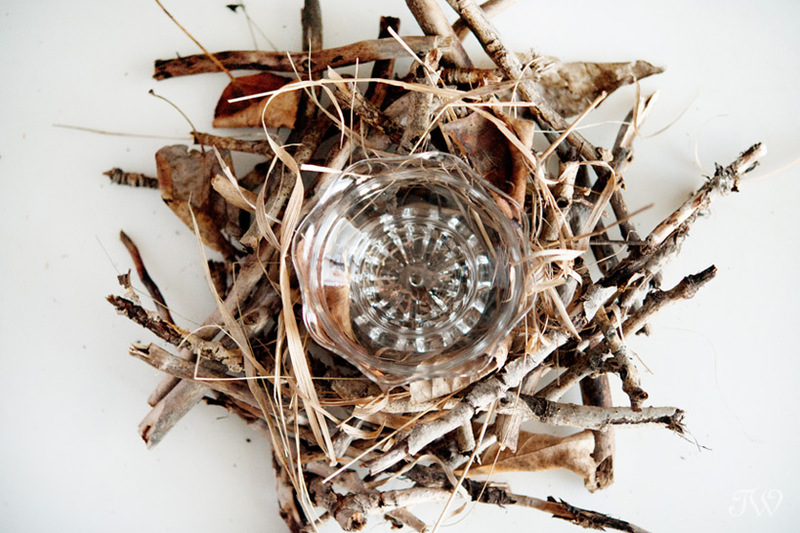 What says spring more than a bird’s nest? 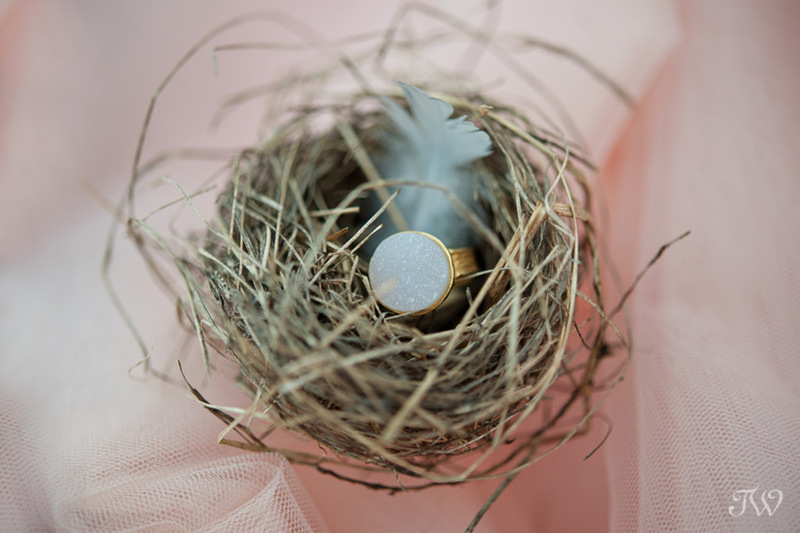 I’ve always loved nests and the new beginnings that they represent. 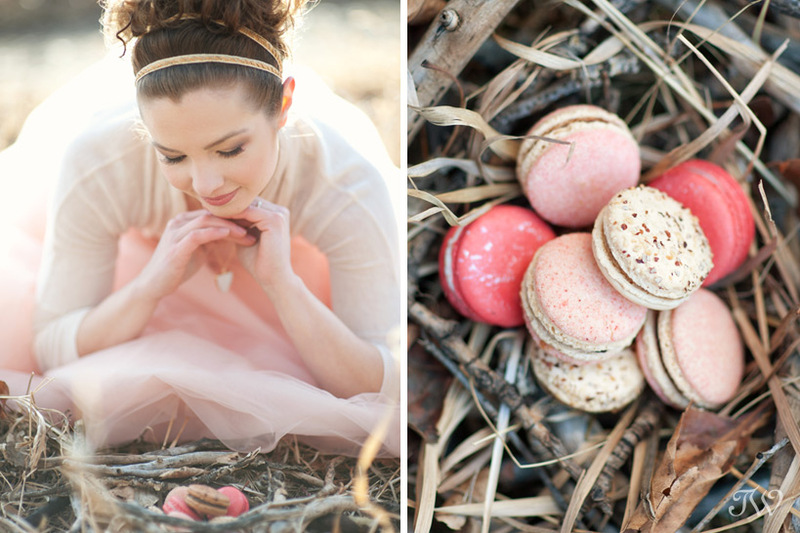 I think a nest of macarons would make a beautifully earthy addition to a dessert buffet. 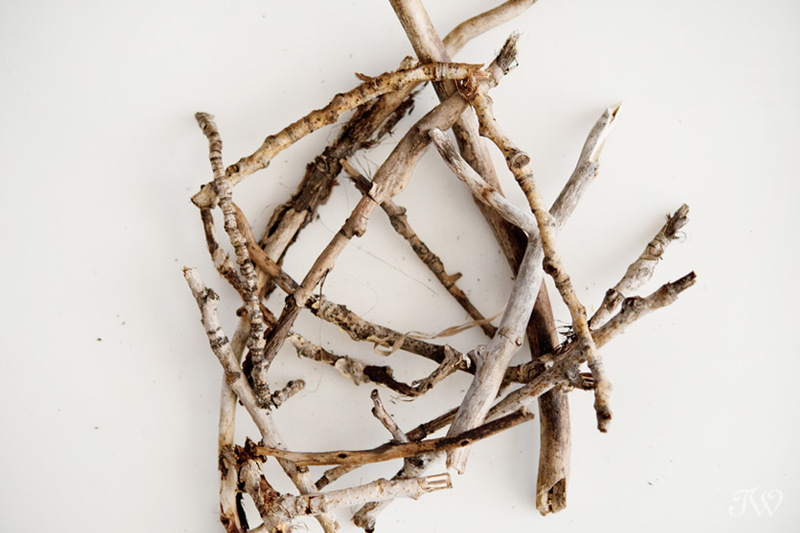 I hope you’ll pop back tomorrow when I’ll be sharing step-by-step instructions on how to make your very own bird’s nest. 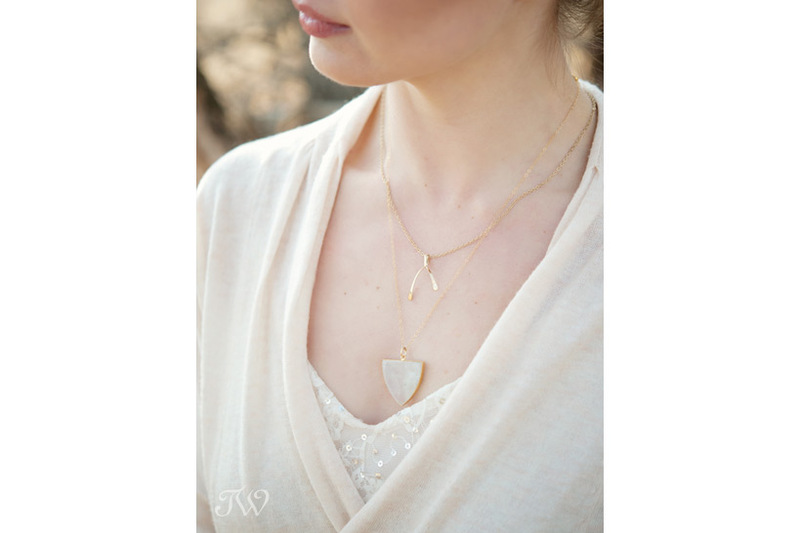 It’s just in time for your upcoming Easter festivities. 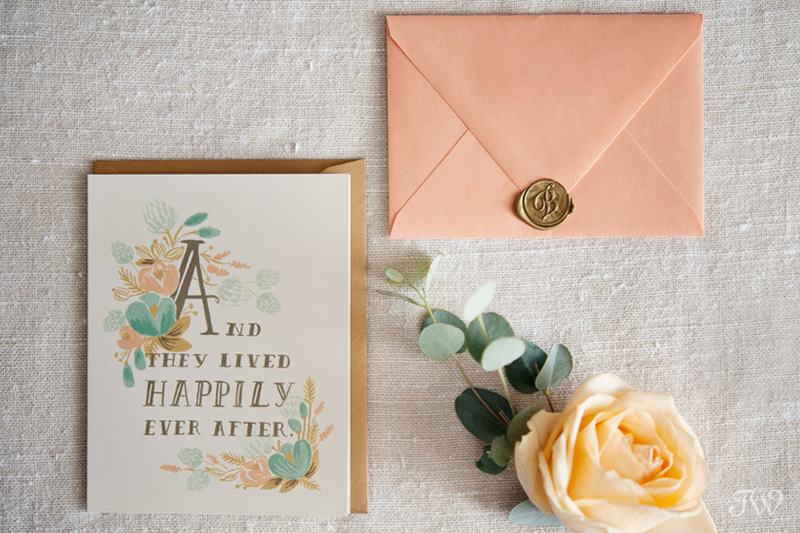 Wedding Stationery: Rifle Paper Co.
Here’s a spring wedding inspiration shoot in the Oval Room at the Fairmont Palliser Hotel, if you’d like to see. 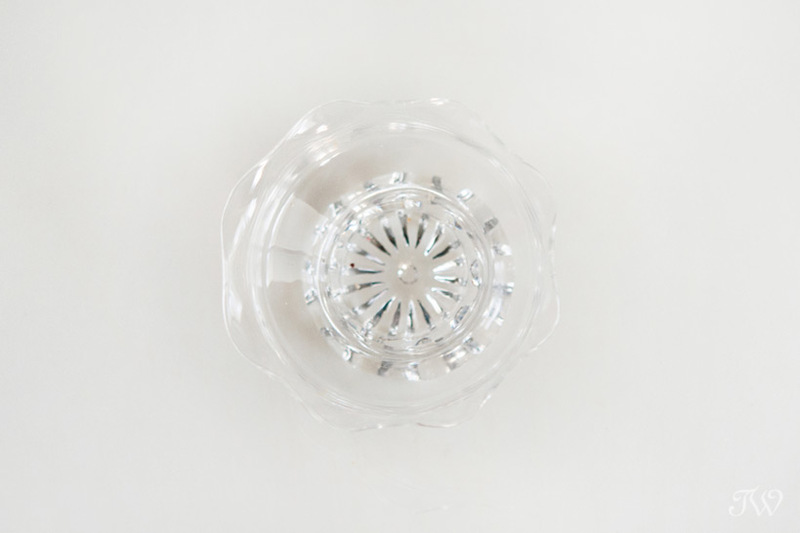 It included a takeaway tulip bar for guests.